Our girls absolutely loved their Bumbo seats, and as parents, so did we. An excellent product, heartily recommended for anyone with small children. I've used bumbo seats for both my children. They make a great first baby chair with tray. 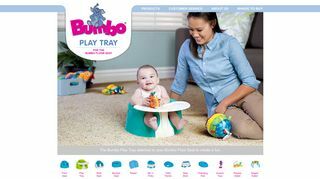 Your baby can also sit up and play with toys if you place then on the tray. They are also small so they fit easily in your car if you're going to a friends house for the day.